Q: We need an invitation for an exclusive event? 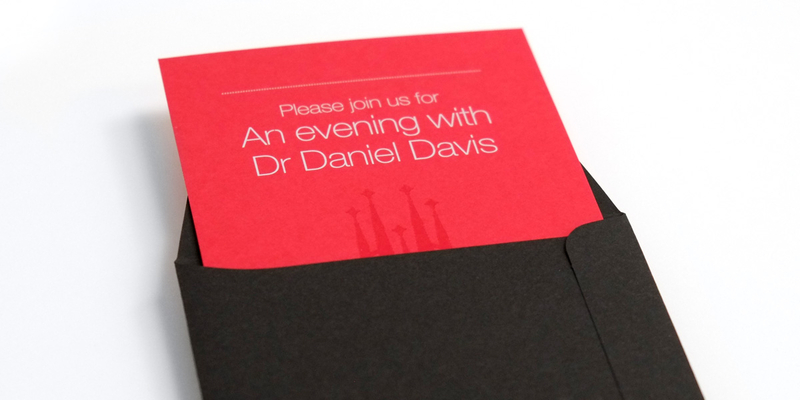 Angle: An evening with Dr Daniel Davis. 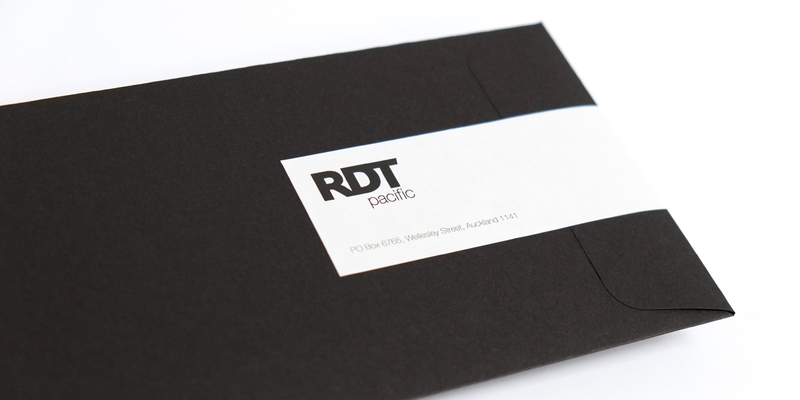 RDT Pacific’s Directors decided to create an exclusive evening event to host a select group of 20 key clients. The main draw card being a presentation by Dr Daniel Davis – a Senior Researcher at Case, New York – world leaders in BIM (Business Information Modeling). 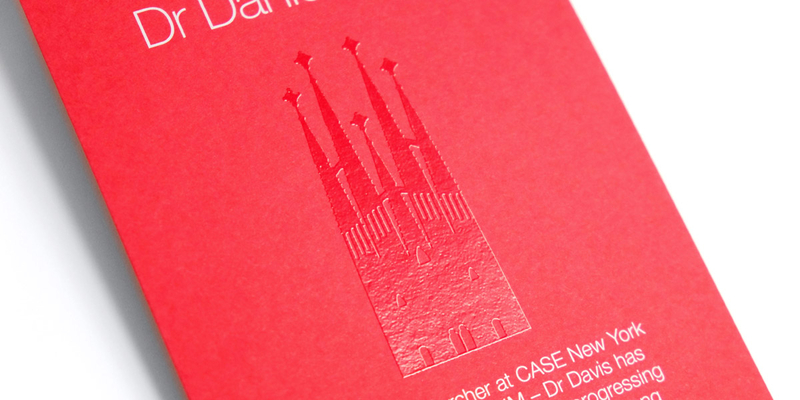 Dr Davis has contributed his expertise to progressing Barcelona’s Sagrada Familia, among other global projects. His presentation aimed to show how technologies are disrupting the process of construction and challenging the status quo. Auckland’s French Kitchen was the venue, with a 4 course tasting menu and matched wines during the evening. 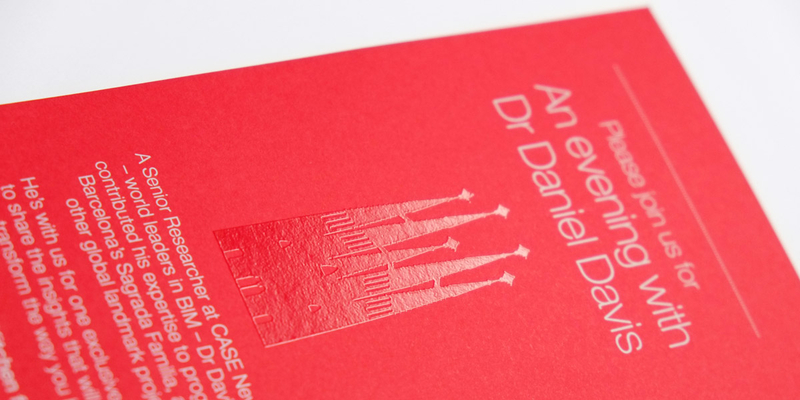 The solution is elegant and understated, featuring a classic black envelope, dyed red card, digitally printed white text and a digitally printed spot UV varnish illustration of La Sagrada Familia.